It really does. She is the most funny, charming, personable author. She really wants to get to know you. And she cries in public, just like I do! I’ve been lucky enough to meet her on multiple occasions since we live in the same state. In fact, she was the first author I ever met in person. She came to my local library when she was first starting out and had just published The Goose Girl. 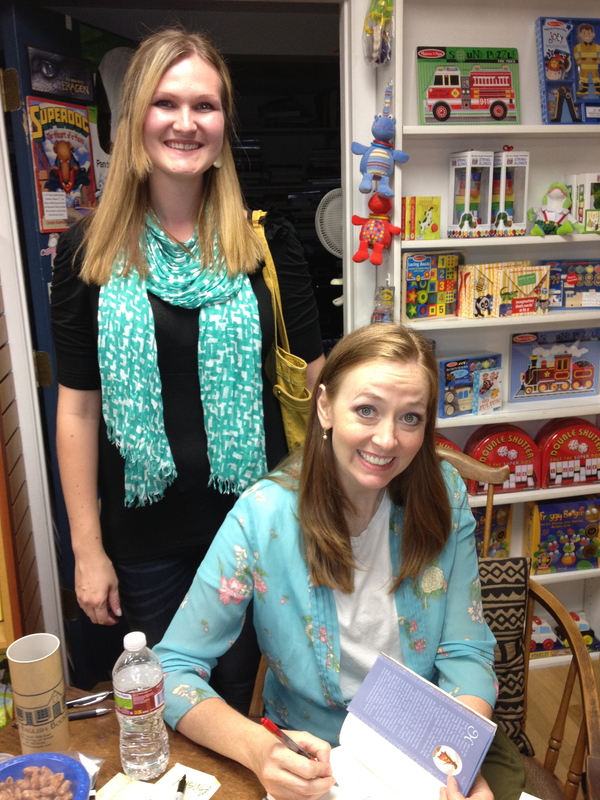 I remember being completely charmed, inspired and encouraged by this red-headed woman with her one book. And now she has so many more. Yesterday was my most recent encounter. 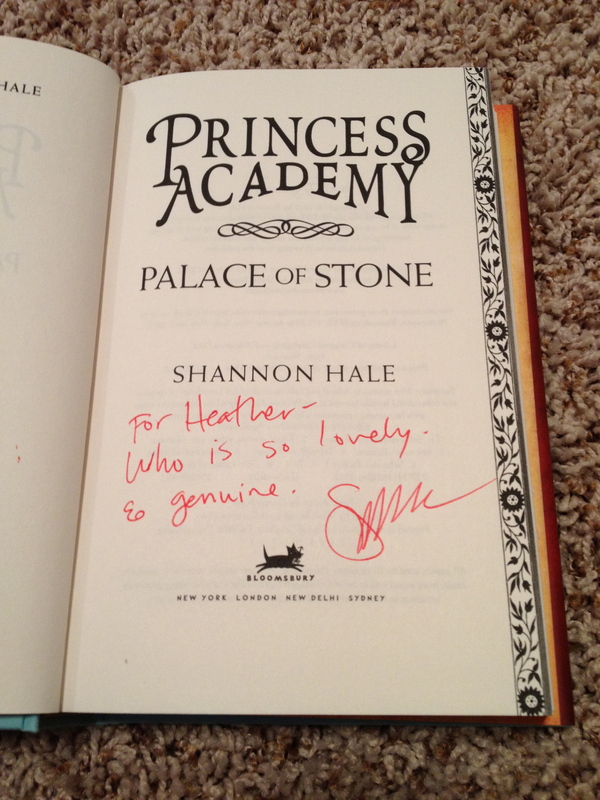 Princess Academy: Palace of Stone was released yesterday and I was so excited as Princess Academy was one of my favorites. And Shannon brought her longtime editor Victoria Wells Arms with her. I had never met such a big editor before (at least not in real conversation) so I was determined to make this night happen for me. It only took me until about 1 am to fall asleep. No big deal. But I also got to speak with her editor for a few precious minutes, who was completely approachable and charming. I even got her business card. Maybe one day we will work together once I get my act together and finish writing my freaking novel. But that’s another story. I’ve only read the first two chapters of Princess Academy: Palace of Stone but I’m already excited for what’s going to happen. I’m back on Mount Eskel. Don’t bother me. I’m reading. can i have any replies about the other books like enna burning i think its cool that most of the books are connected. where did you go to get your book signed. 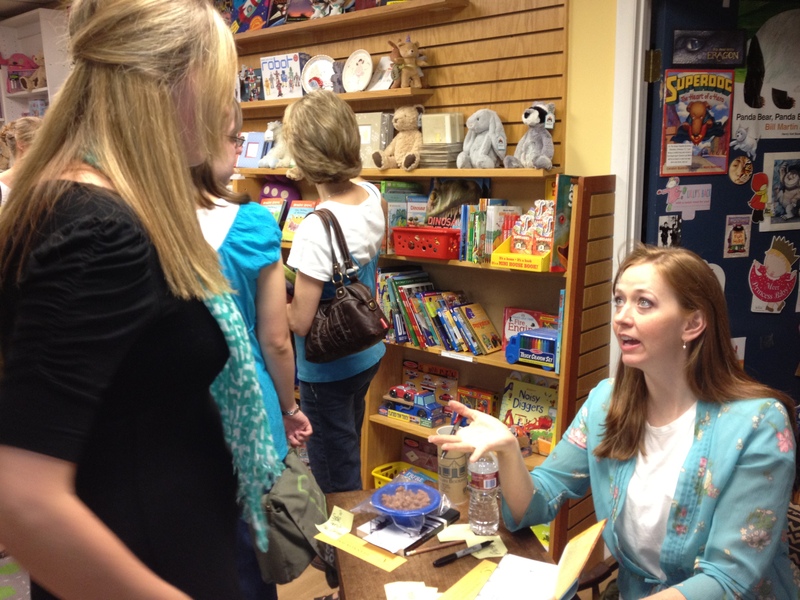 I went to The King’s English, a local bookstore in Salt Lake City, Utah where Shannon Hale is from. She often does a signing there when she releases a new book. And I love all the Goose Girl books as well. Especially Enna Burning. I am going to read Enna Burning I AM SO EXCITED!!!! !